With the launch of Halo 4, 343i updated Forge Mode to help streamline the content creation process to make it as efficient as possible. Unfortunately, the online File Browser previously seen in both Halo 3 and Halo: Reach was not implemented for Halo 4. 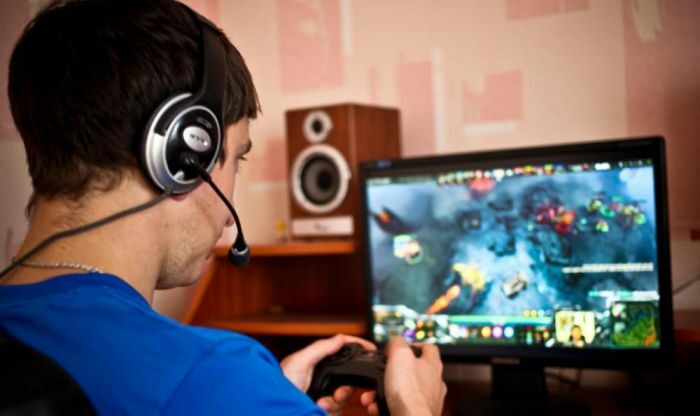 Since there is no longer a ‘central base’ for finding custom gametypes, maps, images, and videos, players have to resort to perusing YouTube, Halo fansites, and random forums in an attempt to find quality content. Until the File Browser makes its return (if ever), the goal of Forged From Scratch is to feature the most phenomenal content that we can round up for you to download and help keep the Halo 4 experience as fresh as possible. Over the years, Halo’s Forge community has sharply refined their creative talents to a razor’s edge. Some of these remakes do an amazing job of not only recreating the general aesthetic, but in some cases, matching the original map’s dimensions to a T. Now, with the 3rd generation of Forge Mode available, the Forge community has put the new tools to exceptional use and put out some of its best work yet. 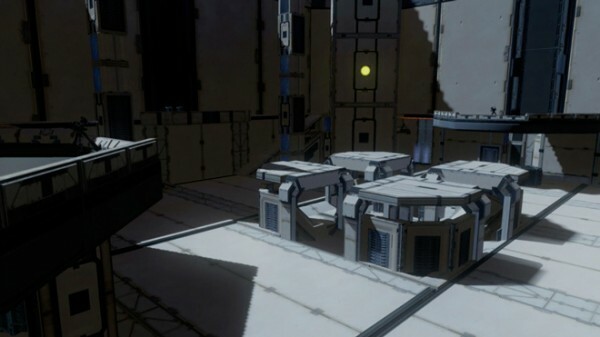 This week, Forged from Scratch will focus on classic map remakes from Halo 2. Without question, my most played playlist in the entire Halo series is easily ‘Team Doubles’. The constant voice communication between you and your buddy while using a strategy of stealth when leading the game and an aggressive ‘hunter’ approach when losing has led to some of the best matches I’ve ever been apart of. One of those maps that helped build my budding love affair with the Halo series was Colossus. I have to give credit to MO LICIOUS. The original Colossus was the second most heavily themed Covenant level next to Midship. Despite the fact none of the Forge maps included in Halo 4 scream “purple!“, the visual aesthetic created in Leviathan is sensational. Even though the level no longer retains its Covenant themed-roots, Leviathan stands out as one of the most visually appealing maps ever, retail or otherwise. There are two things I took note of right away (excluding the abundant lack of purple). First, the map seemed extremely dimly lit compared to other maps I had tried. The second thing I noticed is how the dark contrast works superbly with the light and shadows produced through the giant window. Just glancing at the shadow cast in the center of the stage just kept screaming ‘screenshot’. In fact, all my shots included it to some extent. 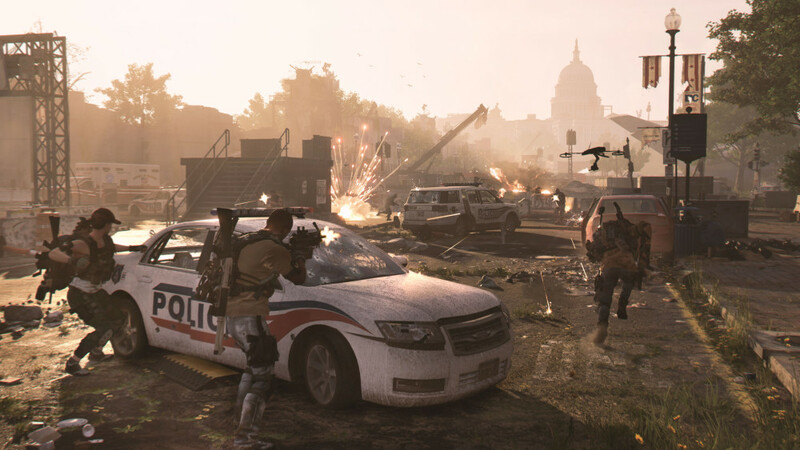 Since two of the predominant choke points are the base spawns, pursuing your enemy across the brightly lit bridge to their dimly lit base adds a heightened level of tension to the match. A couple other things I appreciated were the inclusion of the overshield powerup at the bottom of the giant window, the sniper ledge on the window, and the power weapon spawns. Teams will generally race for the overshield (located on the bottom floor directly between the red and blue spawn points) with some hilarious results. Sometimes, you’ll get gunned down way before you pick it up. The best, however, is when you pick it up with just one shot left before you die. Since overshield pickup’s grant invulnerability until the shield has fully charged, you get a couple extra seconds to retaliate against your assailant without worrying about your health. Since there is literally nowhere to hide on the bottom floor, this creates plenty of ‘oh sh*t’ moments when the assailant (or assailants) realizes he is going to be cut into swiss cheese and ultimately teabagged or ‘Holohumped’ despite having the advantage early in the fight. The sniper ledge on the top of the window is also back. I was nervous at first thinking it was only accessible by jetpack, but you can easily make it with or without a crouch jump. As per the original, the Covenant sniper rifle can be picked up off the ground once you go up the airlift. Since the sniper ledge on the window is on the opposite end of the level from the Covenant Sniper spawn, it adds a level of risk/reward whenever attempting to transverse the length of the level to bring the sniper to one of the best sniping spots on the map. MO LICIOUS does an excellent job of remaking a classic symmetrical map with a brand new palette. The lighting and shadows from the window alone is worth the download. Leviathan, in my opinion, is worthy of being included in paid DLC. I can’t wait to play CTF on it and not have to worry about opponents doing a super throw from one base to the other ala Halo 2. Did I say I love ‘Team Doubles’ maps? Yes. Did I ask if you were sick of seeing them? No, no I did not. Lockout first made its debut in Halo 2, and was ultimately released for Halo 3 as Blackout in one of the DLC packs. 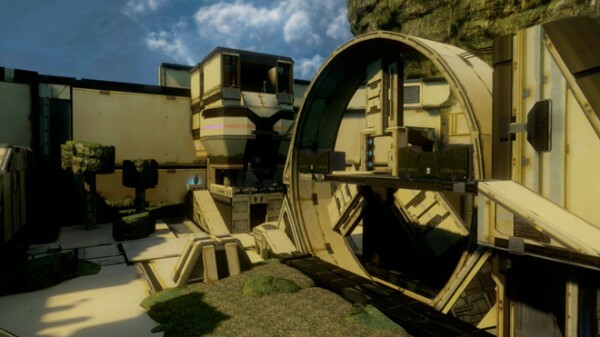 I’m sure if you ask any Halo vet about which map comes to mind for the gametype ‘1 Flag CTF’, you would get at least 8/10 players that said Lockout. Natsu nii‘s aptly named Lockout doesn’t try too hard at camouflaging what it is trying to be: an accurate remake of the so-addictive-it-should-be-illegal Lockout. Since there is no arctic palette to work with, Natsu nii’s rendition features textures that bear no resemblance to the original theme. However, this map nails the layout and dimensions. The sniper tower (with the sniper spawn) has a ramp on the back that connects the first and second floor. The angle of this ramp in Halo 2 allowed for frag grenades to bounce and curve to the left which helped take out or force a retreat of your lurking opponent. Needless to say, all is right in the world, as the ramp angle prevents grenades from bouncing too high or beyond the railing. The angle is just right. Some notable inclusions are the power weapon spawns. The shotgun is at the end of the long and narrow hallway located under the sole airlift in the level. Be careful, as an opening in the ceiling allows an enemy to drop down and potentially sneak in a kill. As for the energy sword, it is in its usual spot but is leaning against a wall instead of floating on a pod. A Sniper Rifle spawns at the top of only one of the sniper towers. Be careful though, as the rifle is leaning on a bevy of explosion coils that can be detonated either by gunfire or grenades from almost every angle. One addition I did take notice of is a ledge at the top of the structure with the air lift. 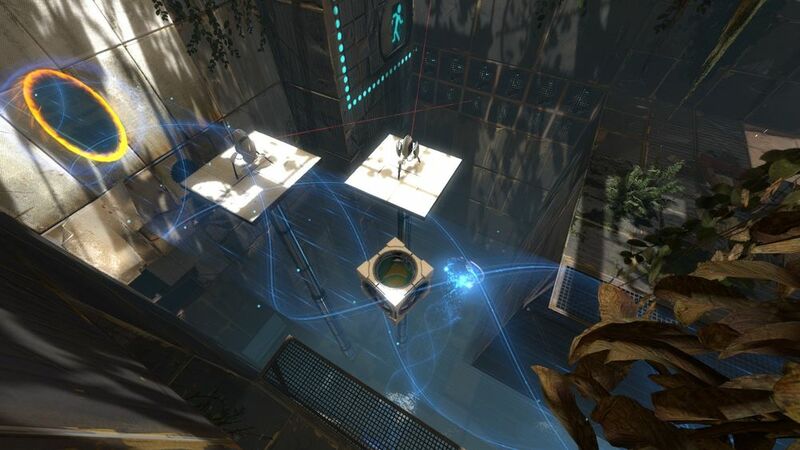 It seems to only be accessible by jetpack, and is just underneath the creator imposed kill zone. It might be the fact it wasn’t there in the original, or the fact it brings up horrible memories of the time that 10-year old got a plasma kill on me and then proceeded to super jump to the top of that structure to earn himself a 1-0 victory via time expiration, but I would actually prefer to see it removed. 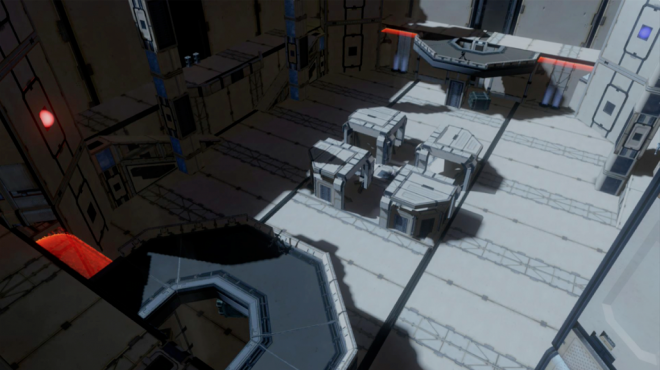 Although my preference is a 2 v 2 format for this map, Lockout is also suited for matches with up to 12 players. Other than the not so welcome ledge addition (which again, is my opinion for reasons me and my therapist never got to the root of), Natsu nii’s take on the classic Lockout is a great addition to any custom map rotation. I will flip a coin: Heads, and its a ‘Team Doubles’ map. 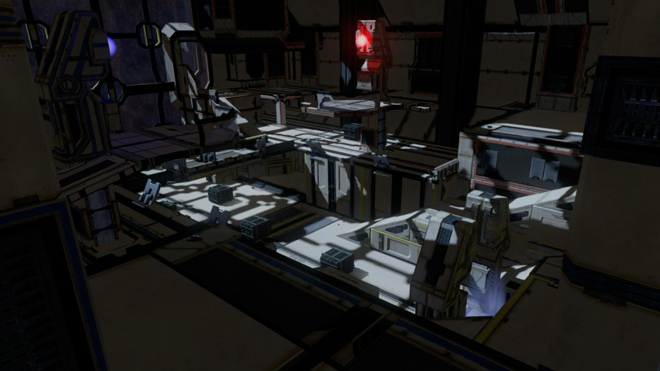 Tails….its still going to be a ‘Team Doubles’ map. Foundation has an interesting history in Halo lore. 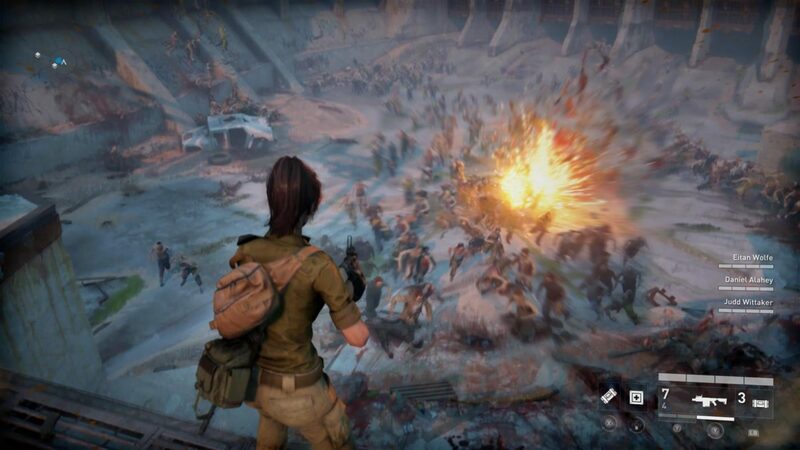 Originally, Foundation was supposed to be an unlockable level for completing the campaign on any difficulty. Unfortunately, a bug in the code prevented it from ever being unlocked. So instead of patching in a fix to make it work properly (who knows if it was even possible), Bungie eventually decided to just make it unlockable for everybody, no-strings-attached. To be frank, my initial impression of the map was disappointment. Considering Halo 2 featured plenty of maps with distinct characteristics such as Zanzibar‘s wheel, Lockout‘s sniper towers, and Colossus‘s giant window into space, to have the hype of being the ‘hidden map’ that couldn’t be unlocked only to see how…bland…the map ultimately was, kind of left a bad taste in my mouth. As time passed, I began to realize how much fun it could be in ‘Team Doubles’ (did I mention I loved ‘Team Doubles’ already?) as well as ‘Team SWAT’. Since Foundation lacks not only visual distinction but complexity as well, it has become one of the most remade maps in Forge over the years. The picture really shows it all: Four closely packed bunkers on the bottom floor, two turrets (with air lifts next to them) opposite each other with two adjacent double ramps that allow players to get back to the second floor. On the second floor, there are four colored pillars lined up as if they made up the corners of a square. Directly behind each pillar is a small room only accessible from the second floor. There really isn’t any distinction amongst the four rooms except the room behind the red pillar that had the rocket pods you could crouch jump up to. In Stratum, that room is still there, but the rocket pods are removed with just empty ledges in its stead. To be honest, the difficulty of accessing this camping spot was part of the allure of the room and now it is gone. Barricades on the ‘pod ledges’ are wide enough for a player to be completely hidden from view. An interesting alteration that I’m not too fond of. Since there isn’t a lot of cover on this map, any match with more than 8 players will result in copious amounts of spawn killing. Other than the minor qualm with the ‘pod ledges’, RegardlessDolan knocks it out of the park with Stratum nailing the most important aspects of Foundation. Update: RegardlessDolan had responded letting me know he was adjusting the room with the ‘pod ledges’. An updated version (2.1) was placed in his file share, and I can say, it feels a lot more like the way I remember. The tall forerunner object that was placed in the update requires a very well-timed crouch jump in order to get up to the ‘pod ledges’. Imagine being up 18-17 in a match and you’re trying to hide for survival, only to fail the jump a couple times as you see the enemy blip approaching you on the radar. Those moments generate a lot of excitement in a match. Also, the barricades are a bit thinner so that you are partially exposed. 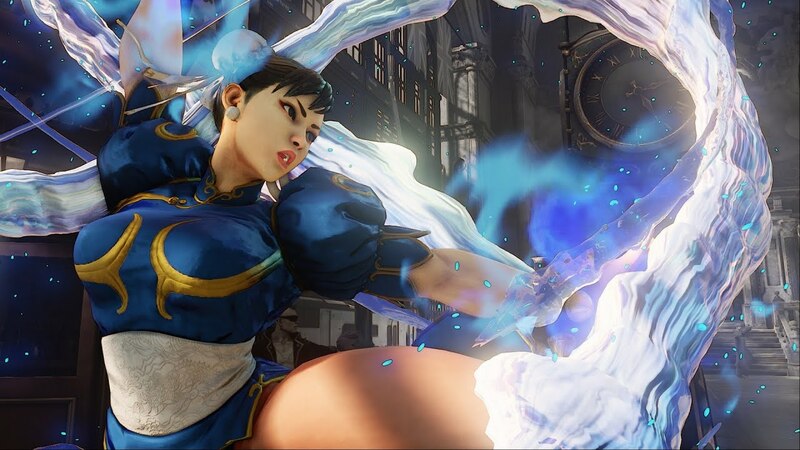 This allows a player to be seen should their opponent advance about 75% into the room (the sight line here feels almost identical to the original). So kudos to RegardlessDolan for being such a perfectionist and eradicating my minute complaint. The definitive version of Foundation (which also changed the air lifts a bit) can now be found in the file share of SgtIIMofo and RegardlessDolan. Who wants another ‘Team Doubles’ map? *cricket* *cricket* Anyone? *cricket* *cricket* *cricket* Oh fine, here you go. Camp Froman is placed inside the Forge map Ravine. The dimension constraints of Ravine are immediately apparent as both the Red Team and Blue Team spawn dimensions don’t accurately reflect the original’s. CommanderColson does make good use of the existing geometry of Ravine at both spawns despite the absences of the beach as well as the collapsible windows. Although the appearances and dimensions aren’t exact replicas in the team spawns, CommanderColson more than captures the original essence of the map. Camp Froman begins to really shine once you step off the shore or head out of the base. The center of the map with the iconic wheel (which FYI, doesn’t spin, but you can still make your way to the catwalk by sprinting up the cylinder) makes good use of the included Forge textures to not only accurately recreate the dimensions of the original wheel, but the catwalk connecting to one of the sniper towers as well. In case you haven’t played this classic map, try to ascend the wheel as quickly as possible and grab the Spartan Laser that awaits at the top. Since the maps are less open for vehicles than say Valhalla/Ragnarok, it’s fairly easy to quickly dispose of oncoming Warthogs and Ghosts. Speaking of the sniper towers, excluding the missing camouflage power up in the East Tower, both are almost exactly the way I remember. The open doorway on the second floor of the East Tower (where the camouflage power up used to be) is one of the best spots for close range weapon kills as well as assassination attempts. I’m glad to see it back in this remake. The West Tower has a ramp both on the left and the right to reach the second floor as well as the missing section to drop inside to the first floor. The right ramp on the West Tower also connects all the way back to the Blue Base, just like the original. Although this map can be enjoyed in 2 v 2 thanks to two separate sniper spawns, the bread and butter of this map is 8-14 players duking it out with power weapons, trying to capture flags, and destroying vehicles. Considering space constraints can be an issue with Forge maps, especially with the absence of Forge World, I am particularly impressed with how CommanderColson pulled this off. Although the vehicles physics have changed since Halo 2, I still look forward to trying to get a killing spree in the Warthog. 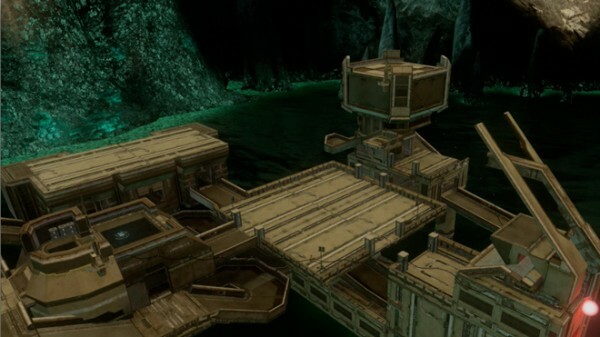 If you’re interested in downloading these maps and more, you can do so easily inside Halo 4. Hover over the file you wish to download, and Press Y for ‘File Options‘. When the menu pops up, select ‘Download‘. Congratulations! You have successfully downloaded the file. Editor for MP1st. Eradicating Comic Sans from the internet one day at a time. 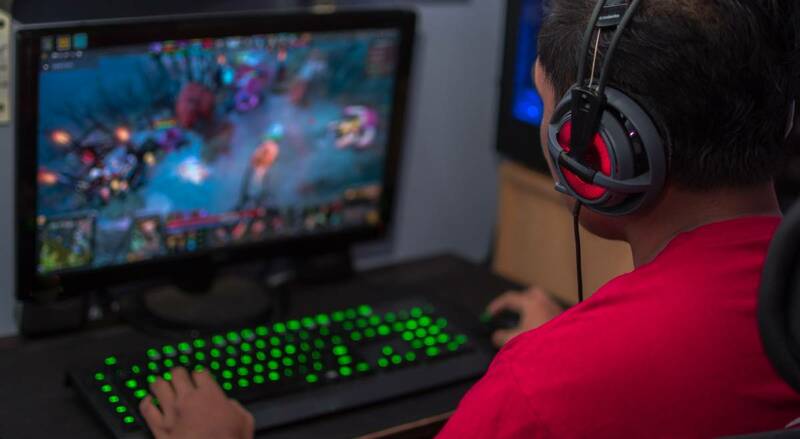 What’s New in the Online Gaming Industry in 2019? 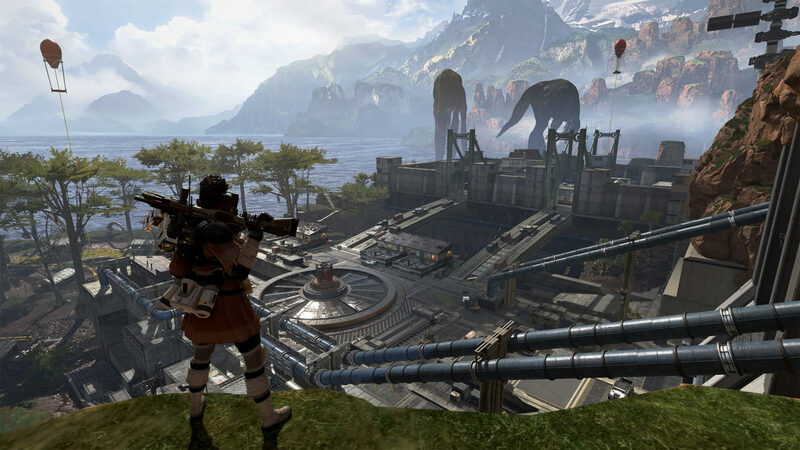 Apex Legends – Should Titanfall Fans Feel Betrayed?